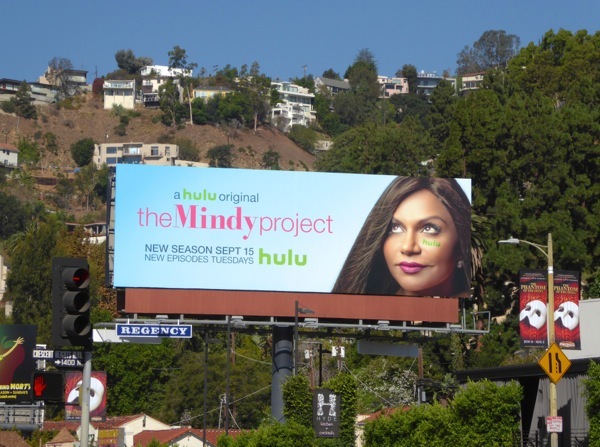 The Mindy Project may have been cancelled by Fox after its third season, but the fourth season is taking flight on streaming service Hulu this Fall. Mindy Kaling returns as OB/GYN 'Dr. Mindy Lahiri' and in this 26-episode season we'll see her continue to balance her quirky personal and professional life, plus find out what life would have been like without 'Danny Castellano' (Chris Messina) in a Sliding Doors-inspired season opener and what life is like with a new baby. 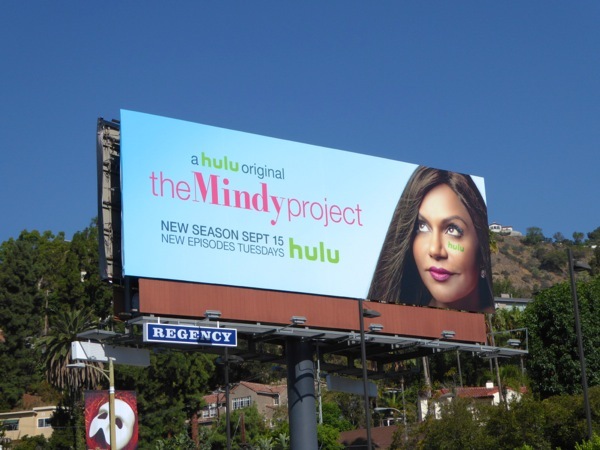 The season four billboard featuring Mindy Kaling's face was snapped along Sunset Boulevard in West Hollywood on September 13, whilst the balloons ad creative was photographed on September 17, 2015. 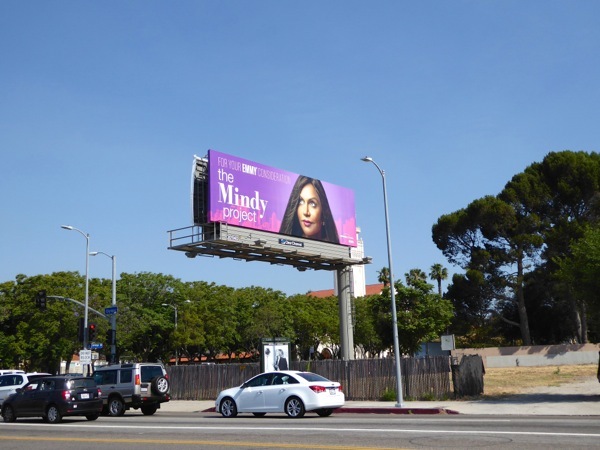 If you're a fan of the romantic comedy, be sure to also check out this 2015 Emmy consideration billboard for The Mindy Project from June this year. 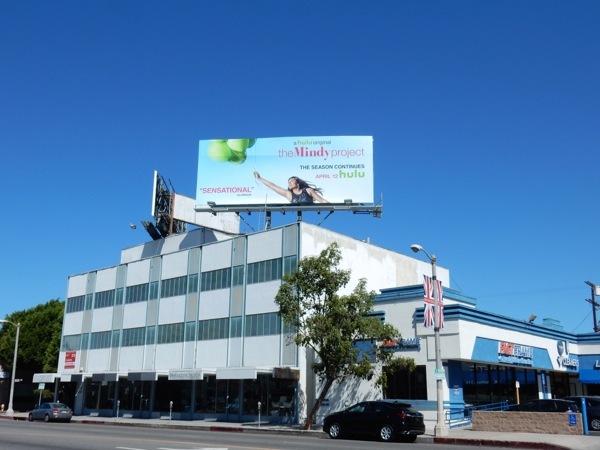 The balloon version also reminds Daily Billboard of these UP movie billboards and one of the billboards for The Oogieloves. The new way people watch TV has really revolutionized the television industry and you have to wonder how many more fledgling shows and fan-favourites would have survived in the past to see more episodes and seasons if streaming platforms like Hulu, Netflix and Amazon had existed. 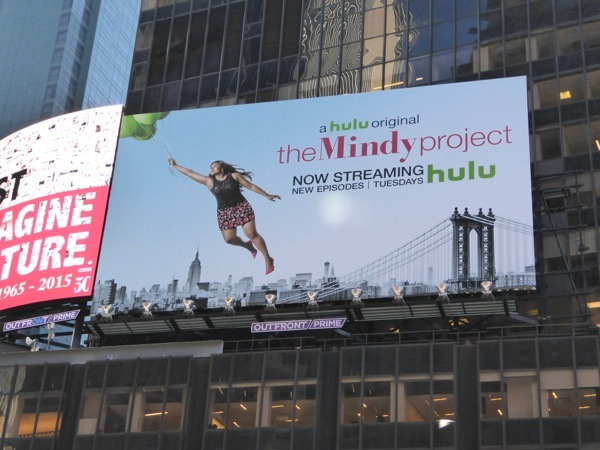 UPDATED: Here's also another billboard for the fourth season of The Mindy Project flying high above Times Square in New York City on November 3, 2015. 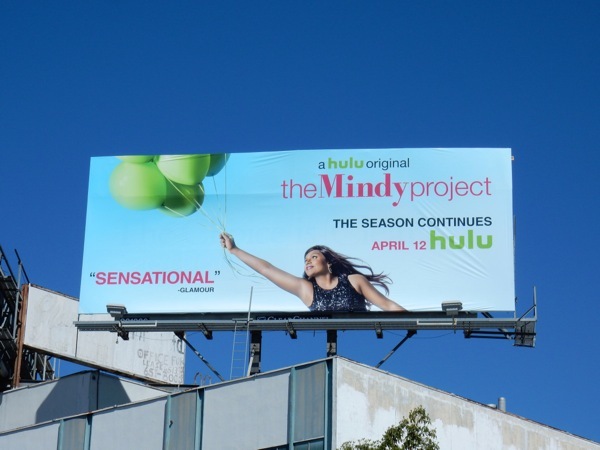 UPDATED: Here's also a midseason billboard for the fourth season, snapped high above Beverly Boulevard on April 17, 2016, which works really well with the balloon ad creative. 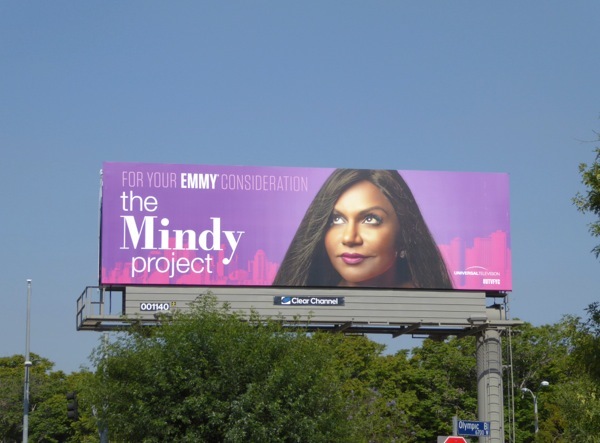 UPDATED: Last year The Mindy Project was nominated for a Primetime Emmy for its costume design and wardrobe, so will this Emmy consideration billboard help the show get more nominations this year? 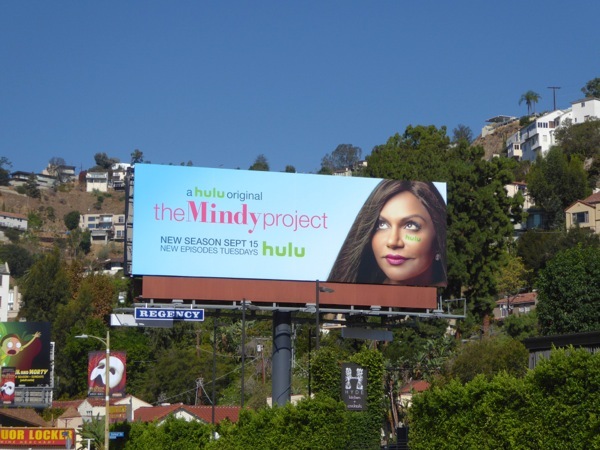 This vibrant fourth season Emmy billboard was spotted along Olympic Boulevard on June 16, 2016.